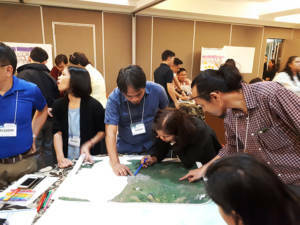 Despite the suspension of work and classes on October 17 due to a public transport strike affecting all of Metro Manila, about 40 representatives from five Philippine national government agencies showed up for the first training workshop on Building Climate Resiliency through Urban Plans & Designs (BCRUPD), a German-government-funded project with UN-Habitat Philippines as lead implementor in partnership with the Housing and Land Use Regulatory Board (HLURB). 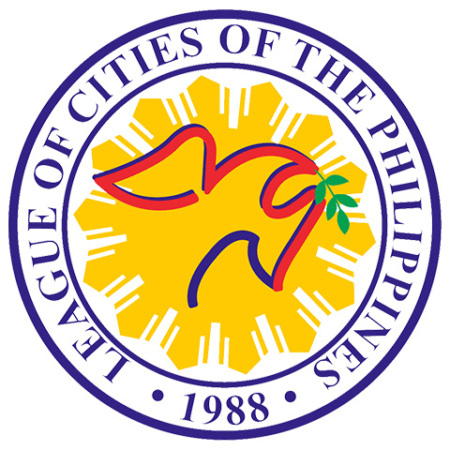 The five participating agencies were HLURB, the Climate Change Commission (CCC), the Department of Interior and Local Government (DILG), the Housing and Urban Development Coordinating Council (HUDCC), the League of Cities of the Philippines (LCP), and the National Economic Development and Authority (NEDA). 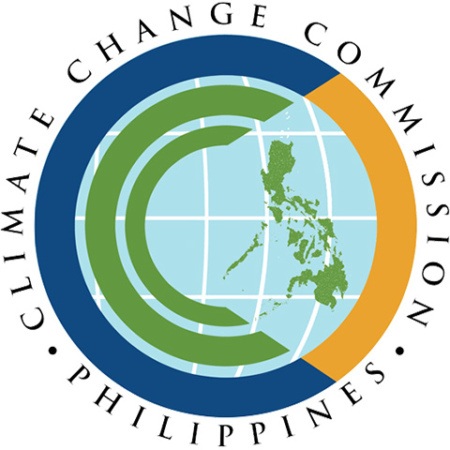 BCRUPD aims to support the Philippine government in improving policies, regulations, and capacities to adapt to climate change through the promotion of climate-responsive sustainable urban development plans and designs. 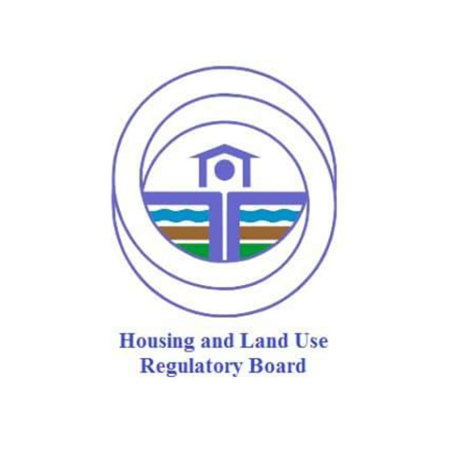 In support of existing national legislation, action plans and frameworks on climate change, the project supplements existing urban planning guidelines and enhances knowledge through policy inputs, capacity development, and demonstrations. Demonstration of innovative approaches in five partner cities—Angeles, Cagayan de Oro, Legazpi, Ormoc, and Tagum—will showcase context-specific processes in building resilience while considering balanced economic and ecological sustainability. The four-day workshop featured technical input from Thomas Stellmach, international expert on urban planning and design from UN-Habitat; Laids Mias-Cea, regional coordinator for Climate Change Initiative in Asia-Pacific, also from UN-Habitat; and Diane Legge, Vice President, CallisonRTKL, a subsidiary of Arcadis. Presentations showcased concepts, processes, and best practices in the areas of risk-reduction planning, mitigation and co-benefits, geospatial mapping, density and its implications on liveability and infrastructure cost, urban typology and resilient densities, urban adaptation, adaptation processes and approaches for decision making, planning instruments, safe and attractive waterproofing of cities, examples of national and local interventions to address urban flooding, integrated approach to waterfronts, and strategic consolidation of urban flood protection, urban development plans, and urban resilience plans. 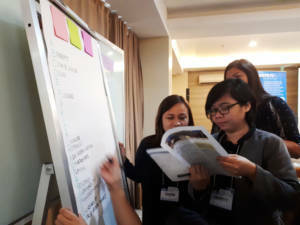 Alternating between presentations were breakout sessions where participants, grouped most of the time by national government agency, were tasked with exercises and specific outputs that entailed applying the concepts, practices, and processes that were discussed. Serving as an occasional reprieve from the technical sessions was the Urban Fair, a small area in the workshop venue where participants could enjoy memory games, puzzles, and other recreational activities during coffee breaks. 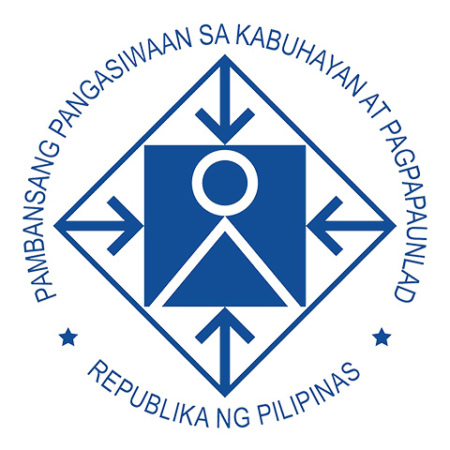 To test the agencies’ retention of the tenchincal input, an online quiz among the agencies using Kahoot, a game-based learning platform which was a big hit for the groups, was held towards the end of each day. Serving the same purpose, each morning the second day onward began with an exercise where participants made an alphabetical list of topics from the previous day’s discussions, one topic correspinding to one letter. The workshop, first in a series to be conducted under the project, met the anticipated turnout and enjoyed active engagement, with certain parts of the technical input having resonated strongly with the participants. Project examples such as floodable parks, an elaboration on urban heat island effects, and cost-benefit analysis as a tool for decision making on adaptation options were a few of these major takeaways. 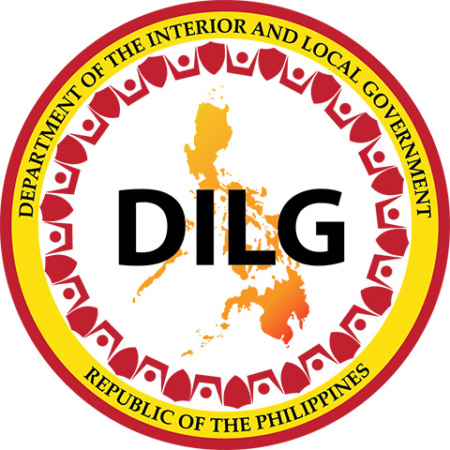 Shortly after the training with national government agencies, the workshop series rolled out in the five project partner cities. The Building Climate Resiliency through Urban Plans & Designs project is supported by the Federal Ministry for the Environment, Nature Conservation, Building and Nuclear Safety under the International Climate Initiative. Download the project brief here. 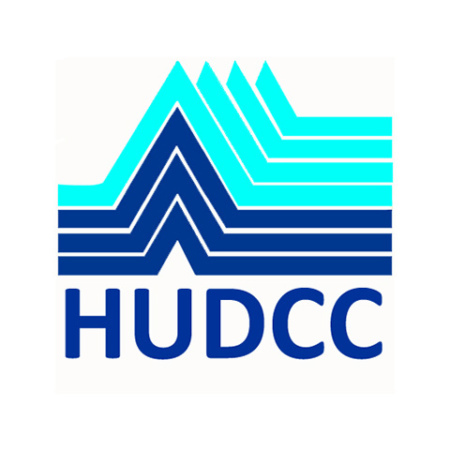 For regular activity updates, follow BCRUPD online on Twitter and Facebook.